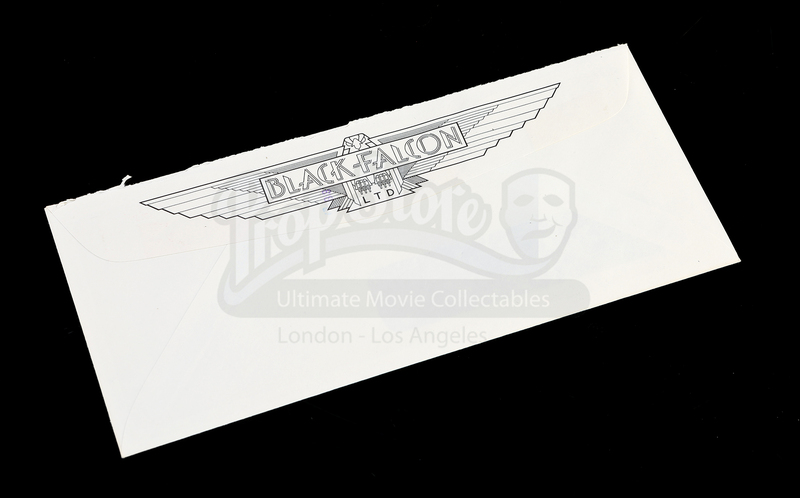 A Black Falcon envelope. 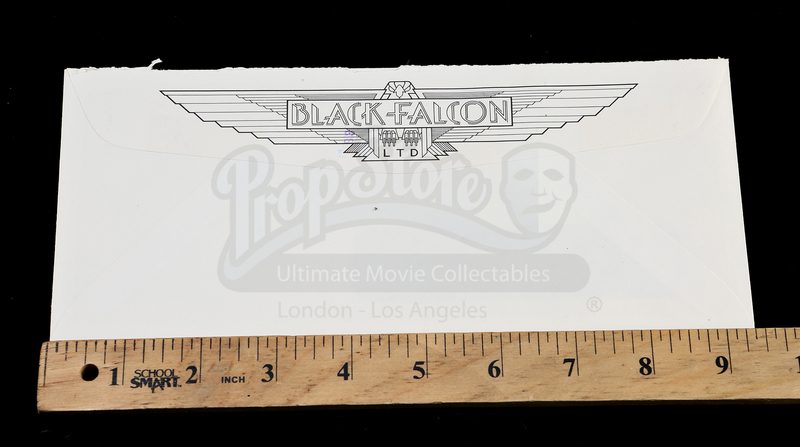 Black Falcon LTD, a subsidiary of Lucasfilm LTD, handled licensing and merchandising. 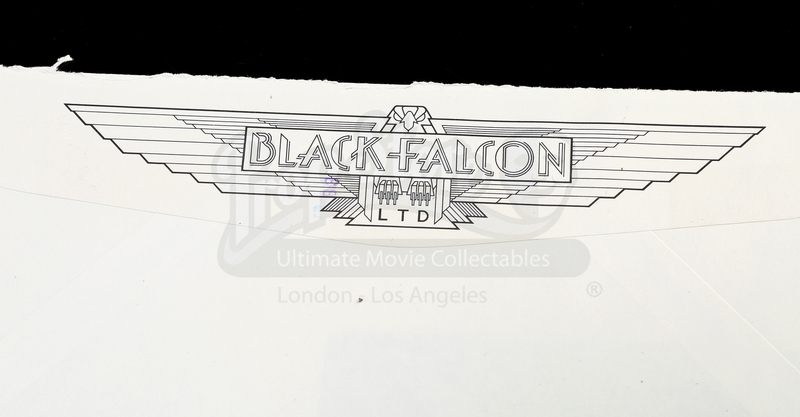 This envelope features the Black Falcon LTD logo printed on its back. 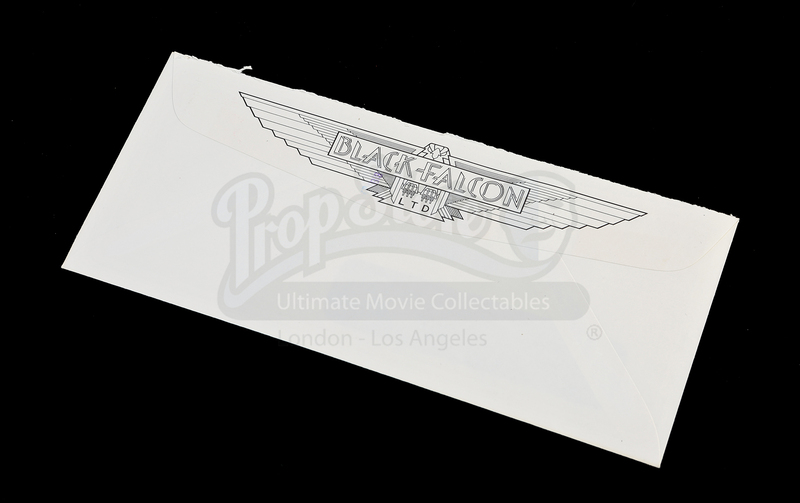 The bottom front of the envelope features the company's address. 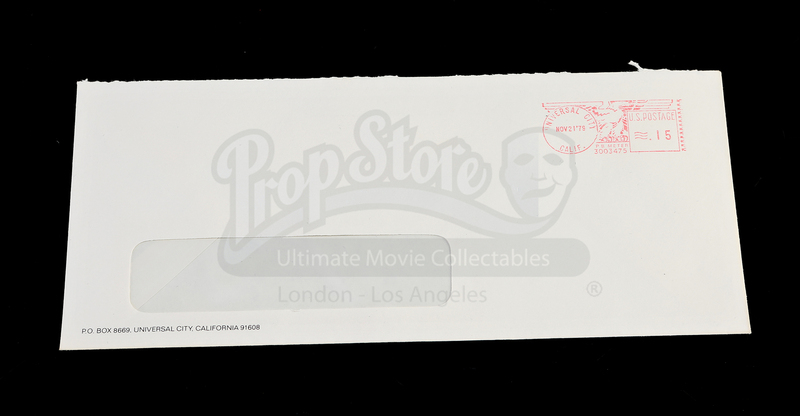 A postage stamp dated 21 November 1979 is placed at the top front right corner. This item has been used and shows signs of wear as a result but is in overall good condition.